JT postato this cute foto on his instagram. 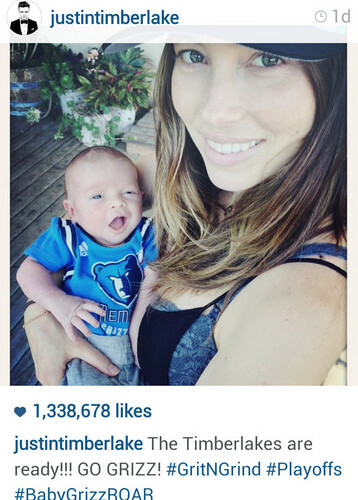 Jessica biel and Silas. HD Wallpaper and background images in the Justin Timberlake club tagged: photo jessica biel jt silas cute justin timberlake timberbiel baby boy. This Justin Timberlake photo might contain anime, fumetti, manga, and cartoni animati.